Looks like the admin from Adimav, 2centads and vyads is back everyone. It's the same member who never clicks and get's paid big payments like $100+ on adimav, 2centads and viyads. I've only ever seen this member on those sites. 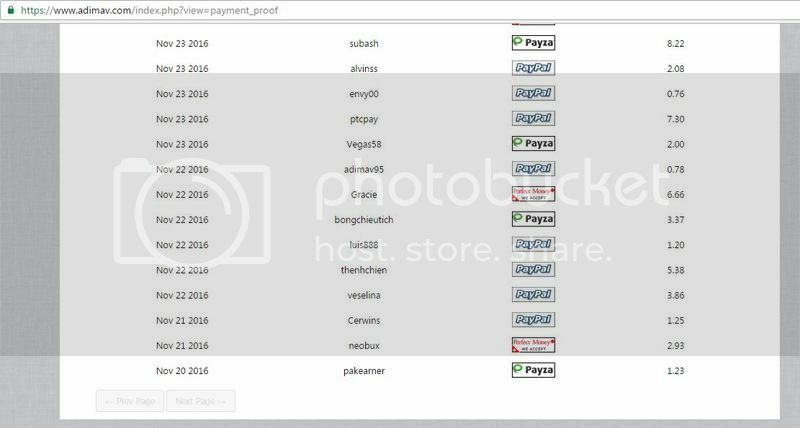 Proof pakearner was on 2centads and vyads and was getting payments with out clicking and you need to click 4 ads to earn from referrals there. That's too strange. How can he earn without clicking there? Maybe that account is maintained by site's admin to make big fake payments on the name of that account to lure poople by making them believe that they are paying.